With Christmas fast approaching, it's time to remind Liverpool fans of the fantastic selection of club titles currently available, including the popular new releases Kloppite and From A Field to Anfield. All seven of these books make perfect gifts and stocking fillers for the Liverpool fan in your life, from Got, Not Got's rich array of memorabilia and memories to Match of My Life and On This Day. Or why not go ahead and get yourself a festive Liverpool treat?. 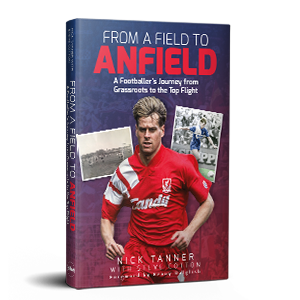 From A Field To Anfield is the compelling story of Nick Tanner's unlikely journey from grassroots football in Bristol to the glamour of then-champions Liverpool. There were no shortcuts for Nick, who worked on the factory floor when he was bought by Bristol Rovers for two floodlight bulbs, and then had to prove himself to a squad full of winners. Mid-Atlantic, 1954: the Queen Elizabeth’s crew commit to the deep a coffin containing the remains of Liverpool FC, relegated to Division Two. Istanbul, 2005: Liverpool’s heroes hold aloft the Champions League trophy, after the greatest final ever. Here’s the story of the Reds’ fans rollercoaster journey of a lifetime between those two dates. 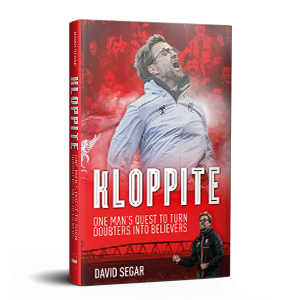 Kloppite: One Man's Quest to Turn Doubters into Believers follows the story of Jürgen Klopp and his first two seasons at the helm of Liverpool Football Club. After a decade and a half of fighting against the odds and winning in Germany, Klopp was unleashed on the Premier League - and what followed was a whirlwind of laughter, pain and broken glasses. A dozen Liverpool legends come together to tell the stories behind their favourite ever games for the club – enabling Reds fans of all ages to relive these magic moments through the eyes and emotions of the men who were there, playing their hearts out for the red shirt. 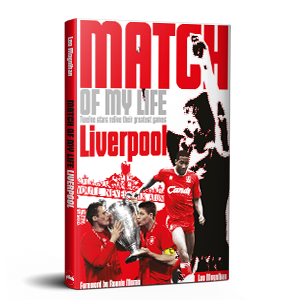 Includes Ian St John, Tommy Smith, Jan Molby, John Barnes and Jamie Carragher. A diary of Liverpool Football Club's 2014/15 season - except this diary isn't written by a single author; nor does it focus heavily on the actual football. 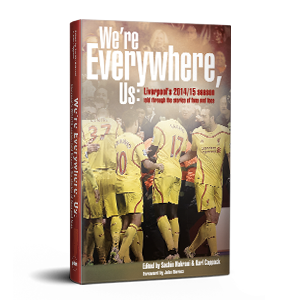 Instead, it's a compilation of pieces offering a different personal take on what it means to support Liverpool. Friendship. Family. Travel. Tragedy. Work. By the finest writers on the Reds. Liverpool FC Cult Heroes is devoted to 20 players who, over the years, have won a special place in the hearts of the Anfield faithful - not necessarily the greatest footballers, but a unique brotherhood of mavericks and stalwarts, local lads and big signings. 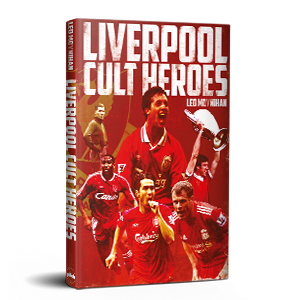 Includes Elisha Scott, Billy Liddell and Joey Jones, Johnston, Carragher and Suarez. 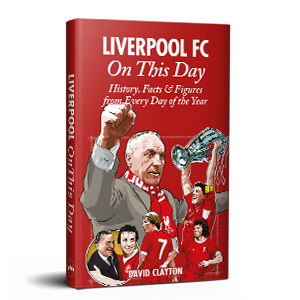 On This Day revisits all the most magical and memorable moments from the club’s distinguished past, mixing in a maelstrom of quirky anecdotes and legendary characters to produce an irresistibly dippable Reds diary. 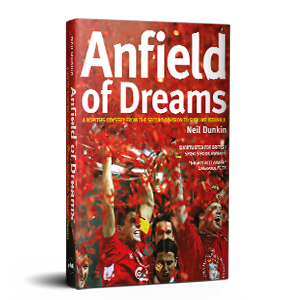 From the club’s acrimonious Victorian foundation to the Premier League era, there’s an entry for every day of the year..
Got, Not Got Liverpool is an Aladdin's cave of memories and memorabilia, guaranteed to whisk you back to Anfield's fondly remembered 'Golden Age' of mud, mavericks and magic. 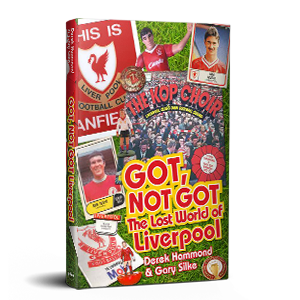 Here's Keegan, Dalglish and Barnes on stickers and in comics, Reds Subbuteo and petrol freebies, league ladders, big-match programmes and tickets, and much more.